Fowey’s maritime history stretches back to the Middle Ages when the harbour was prolific in providing men and ships for the siege of Calais. Fortified blockhouses mark the entrance, a result of the raid by the French on Fowey in 1457 when much of the town was burned. A cable was strung across the harbour to prevent a repeat until the local sailors would stand for them no longer. Cargoes through the port included the exports of copper, tin and china clay and the imports of coal, timber, limestone and general cargo. Coal was unloaded at Berrills Wharf as late as the 1960s. Today the sole export is china clay but this was a relatively new cargo, the first being exported in 1869. Prior to this Fowey was used only as a port of refuge by the ships using the main china clay ports of Par, Charlestown and Pentewan. Dredging in the lower harbour in the early part of the 20th century allowed access to the berths upstream by larger vessels. This allowed china clay to be shipped regularly through the port. The Harbour Authority is the Fowey Harbour Commission and was founded in 1869. Currently it comprises nine commissioners including the Harbour Master who is also the Chief Executive. He, with his deputy and staff, run the daily affairs of the port. Several quays remain: Whitehouse Slip for ferries to Polruan and Mevagissy; Town Quay for the water taxis running crews to and from the visiting yachts; Albert Quay so named after Queen Victoria and Prince Albert once landed there; Berrill’s Wharf which now accommodates the Fowey Lifeboat but was until the 1960s used for discharging coal; Riverside quay which used to be used by the Bodinnick ferry and Daffa Mill where the ferry now leaves to Bodinnick. Fowey is a deep water harbour that is a very important exporting port on the South West peninsula, being the largest in tonnage terms. It is also in the top twelve ports for non-oil product exports in the United Kingdom. 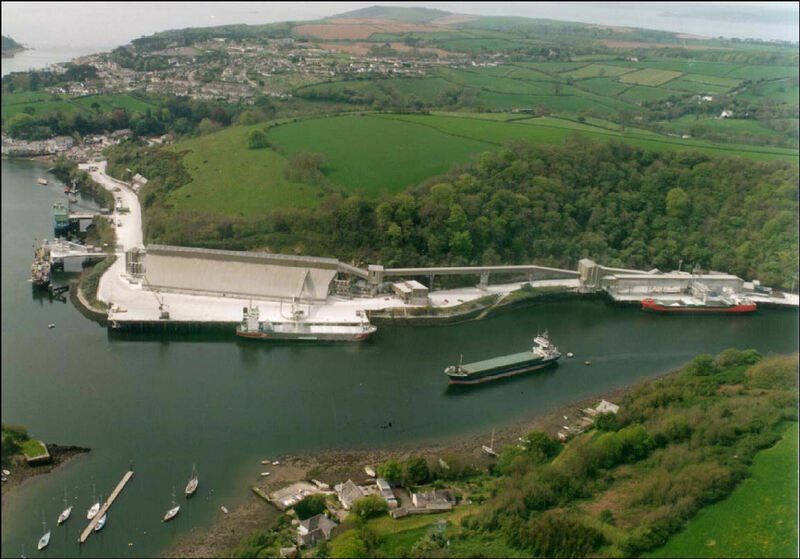 Fowey Harbour Commissioners provide the important pilotage and towage services for the export of China Clay through Fowey to destinations all over the world. Exports of China Clay are managed by Imerys Minerals Ltd, who also operate the port of Par. Fowey accommodates over 7000 visiting craft through the summer season and has up to 1500 resident craft.